Third-person action game, take control of an alpha predator in the exploration of a mythic island where Man and beast wage war for control of the wilderness. Sandbox open world environments that serve as hunting & battlegrounds for the various packs of alpha predators. Near future / hi-tech civilization, terra planet, humanoid population encroaching on the jungles in the search for knowledge & harvest of natural resources. The island is inhabited by ancient species making up a vividly realized and extremely volatile ecosystem. Each of the predators and other animals in the forest have their chosen regions and domains. 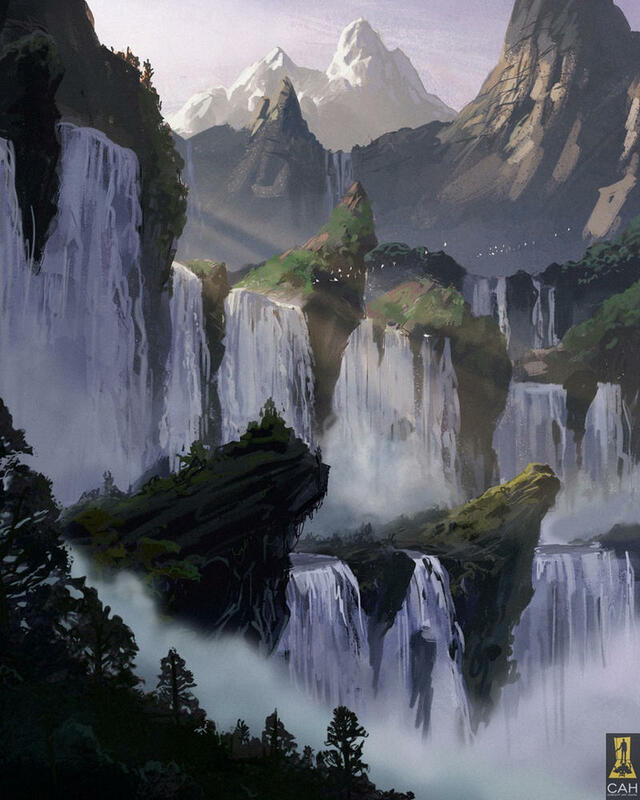 The humans reside within scattered settlements and outposts, conducting research, hunting animals, and seeking to explore / exploit the island’s resources for their assorted nations back on the mainland. Game progression involves growing the creature into adulthood over time while scavenging for food, fighting for dominance of the jungle with the other animals, and hunting humans that enter your domain. 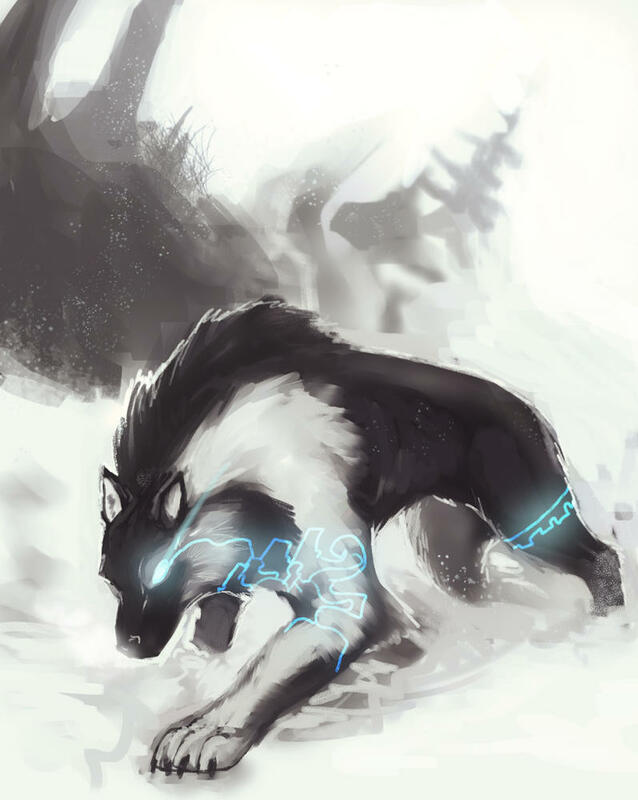 Each alpha predator has special abilities and methods of coordination with packs or the environment. The wilderness environments and human structures are procedurally generated, complete with a day / night cycle. Over time, as your predator grows into full adulthood and eventually advanced stages of evolution, the human presence will expand more and more into the natural habitats, increasing their contact with the alphas. The human and other animal / predator NPCs within the environment will operate in their environments doing what they are instinctually primed to do. Once each has encountered your predator(s), their behavior adjusts to compensate for the threat. Humans will begin patrolling known predator hunting grounds and setting traps to try and capture / kill predators. Other predators will begin to fight you for territory. Other NPC animals — variety of herbivores, carnivores and omnivores which live within their environments and fight / flight based on intelligence & awareness. Some animals are easier to hunt than others, some provide more or less nutrition for your predator, some will attack you if threatened or given an advantage, some will help you, inadvertently or otherwise, in your battle against the humans. 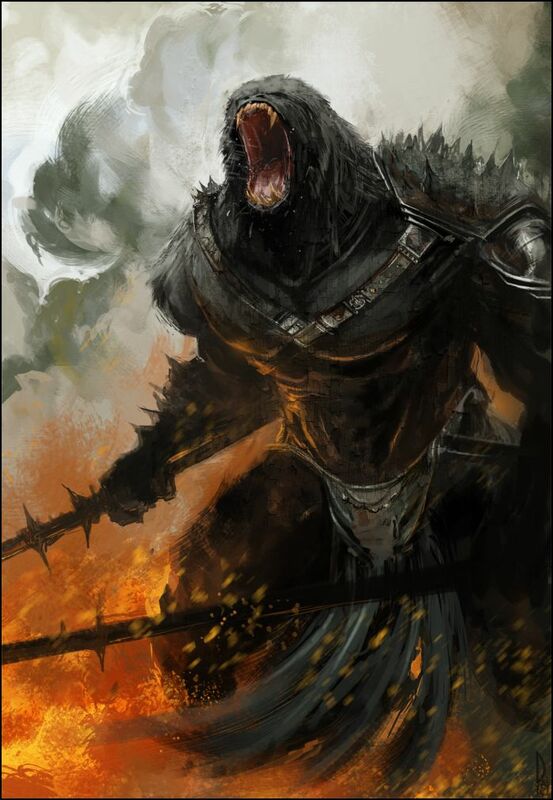 Other NPC alphas — your relative equals in battle for dominion over the regions of the island. Will come up against ambushes, cross-purpose hunting, and challenges on a semi-frequent basis. The alpha predators’ high degree of intelligence makes them the most dangerous foes in the wilderness. Choosing to hunt or engage with other alphas is the highest risk / reward proposition in the game for gaining experience & resources. 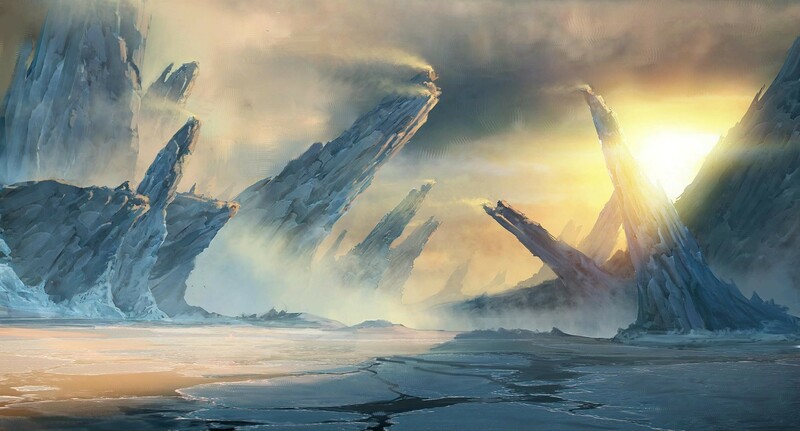 Additionally, given certain conditions and objectives met, alliances can be formed among alphas to hunt together. The weather operates on the island much in the same way that the ecosystem does, with occasionally extreme danger to all who inhabit the island. It is constituted by capricious volatility. Choosing to hunt in adverse weather presents certain challenges and opportunities. It might be easier to pick off distracted humans in the hard rain, but risk injury if climbing or running. Snow & cold will slow your predator down, but can be used to conceal yourself or traps / weapons / ambushes. Extreme heat burns the alpha’s energy faster, as well as your prey’s. Wind will affect the use of traps and weapons. Easier to hunt in stealth at night but also difficult to see if alpha does not possess the sensory capabilities to excel as a night hunter. Speed: How fast the predator can move, most NPC animals have a speed of 3-4, humans have speed of 2-3. Power: How physically strong the predator is. Power influences how much they can destroy the environment, human weaponry and vehicles, and how much damage the predator does in its attacks on other creatures. Intelligence: Measures the situational awareness and cognitive abilities of the predator. A more intelligent predator is given a wider HUD to locate enemies, and is capable of seeing environmental anomalies, such as potential dead ends, traps and new enemies entering the area. An intelligent predator can anticipate the patterns necessary for a successful hunt, set its own traps and move through the jungle with a better plan of attack. All alpha predator movement is governed by Energy. Predators can move slowly, in a sneak, for the purposes of stealth. It burns the least energy. Each predator is more or less effective at it, but they can all attempt to sneak up on their potential prey. Normal movement is faster than a sneak, but not as fast as the sprint; it burns a commensurate amount of energy between the two. Sprint burns energy the faster but allows your predator to move the fastest. An attack launched from sprint, depending on the alpha, is the most devastating and can produce the most damage to animals, humanoids, and structures / vehicles. Attacks burn energy. Each predator has attacks unique to their naturally / artificially endowed weaponry in addition to their inherent abilities. Energy is rejuvenated over time passively, when movement slows, when enemies are killed / eaten / when objectives are met, like catching an enemy scent, being challenged to an alpha duel, working with your packmates and/or conducting successful hunts. Health begins to be depleted when energy is gone. When health reaches zero, the predator perishes and its game over. Can re-load the last save. Thusly, when energy is gone, a predator can still sprint or use high endurance abilities, but health will be depleted over time. Similar to energy, health is restored over time passively and when a predator eats. Predators can also choose to eat plants, such as fruits & vegetables, to regain energy / health. However, none of the predators can subsist on plants alone. Each predator has a hunger meter which indicates how long it has been since feeding. If a predator goes without a successful kill and feed for too long, energy is depleted faster and rejuvenates slower. This makes it more difficult to hunt. Once a predator has fed, the hunger meter and drawbacks return to normal. Each predator has special abilities that allow them to overcome the challenges of survival in the jungle and effectively hunt the humans. Can use tools with opposable thumbs. Either through scavenging from humans or gathering branches and rocks, can use them as weapons or to construct shelter, traps, or armor. Due to their high intelligence and using a rudimentary form of language, the apes can speak to one another and coordinate learning and attacks better than any other predator. The apes, being closely connected to humanity in a genetic sense, possess the inherent potential for their own united and non-barbaric civilization. They hold the power to overtake humanity as the dominant species on the island, and the entire planet. 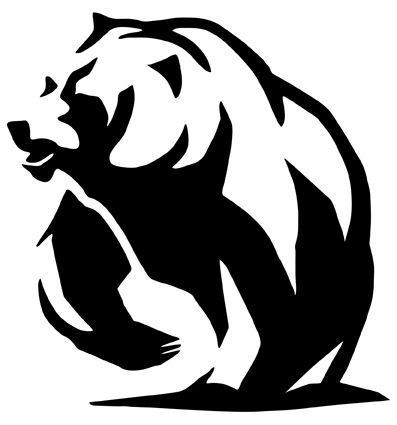 Experience governs the progression of the alphas throughout the game. Each predator can gain up to 20 levels, each coming up with energy + health + damage increases, ability increases and size increase. The predator gains experience by eating, learning to hunt, exploration of the environment & discovering new locales, defeating other predators / creatures, allying with predators / creatures, working with & protecting the pack, toolmaking & building shelter, retaking wilderness from human presence. 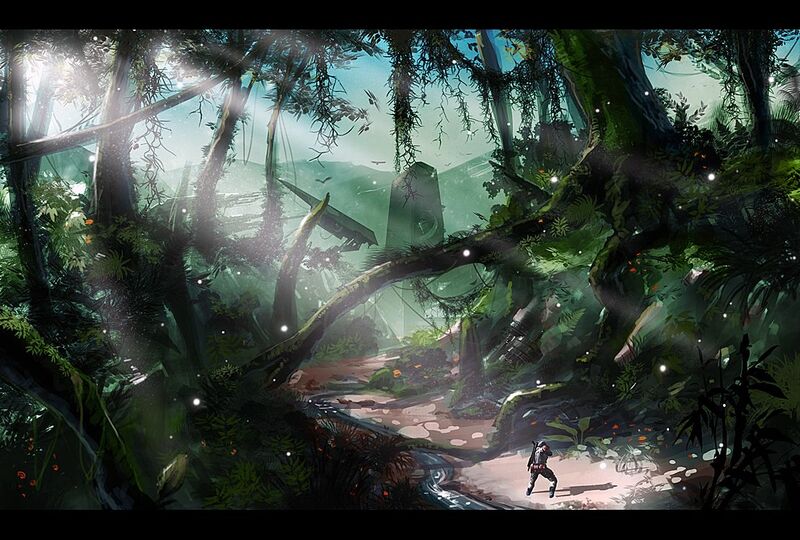 Instincts are intangible milestones achieved throughout the game’s progression. The more your predator learns of the island, your ancestors, and the history of both, you are granted instincts which allow for even greater powers in exploration & hunting & combat. Wolf learns of human-domesticated dogs, can call out to them in human settlements and lead them into the jungle where they can be allied among the pack. Bears can choose to hibernate during especially harsh climates, over days or months. They gain additional energy and health for their next hunt. Reptiles, being cold-blooded, can learn the art of camouflage and can appear as though they are dead / no heartbeat. Evolution. Over time as your experience grows and you level up your predator in the game, you come to lead your pack or group, and are granted additional boosts to your size, abilities, and overall predatory effectiveness. The appearance of the predator will change in this way over time and will be granted additional abilities to use. For each predator there are a total of 3 evolutions. Stage 1 — Opening of the game as an infant predator. You hunt smaller prey and grow. Learn the ways of survival and hunting from parents and siblings of the clan. (Except for the Reptile, which is left alone after hatching and must learn to survive alone.) This period serves as the tutorial, where the player is given the chance to learn the basic mechanics of hunting and the specific traits of the chosen predator. The player predators gain experience and level up. The player can choose specific abilities, traits and attributes to focus on and improve. Reconnaissance – scout out surrounding areas, noting points of interest to explore and human activity presenting danger & opportunity. Big time hunt – hunting larger prey within the jungle, including humans. More challenging and combative. Alpha Duel – duel between alpha predators 1v1. New mechanics surround duels. Alpha War – fight between clans of alpha predators. Large battle. 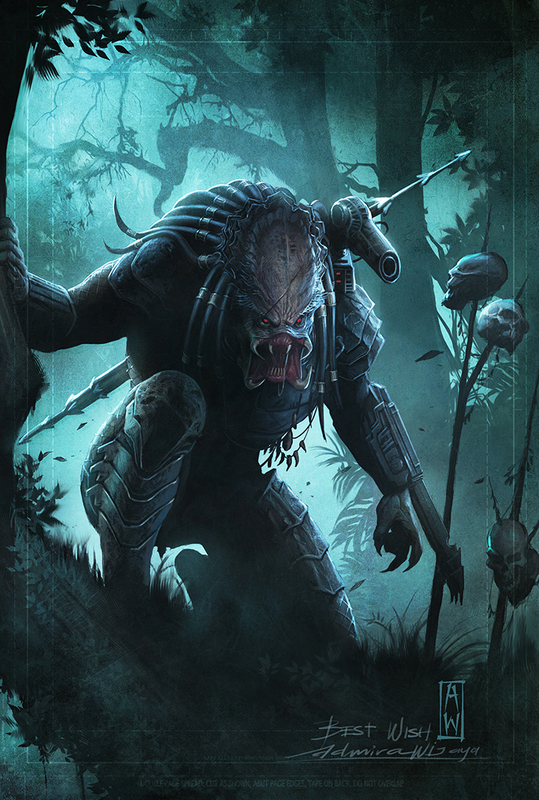 Stage 3 — The predator, now fully grown, can activate its advanced levels of evolution, growing in power for the final portion of the game, at enhanced difficulty levels. The final missions involve the most challenging opposition from other predators and humans. At advanced stages, each of the predators changes drastically in appearance and gain new & powerful abilities. 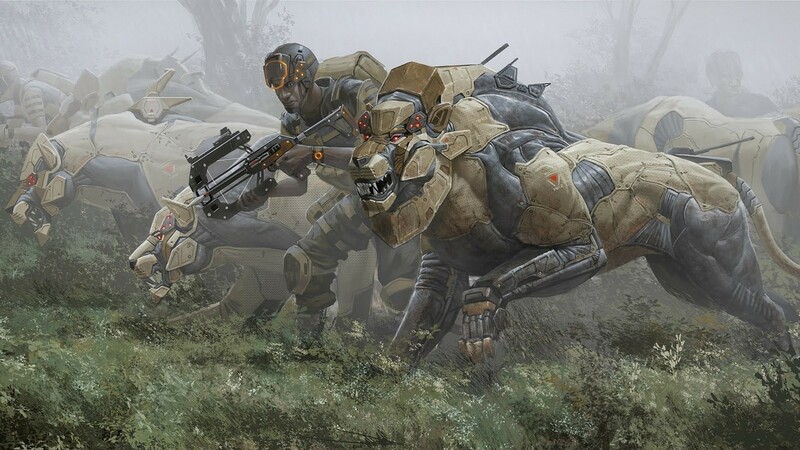 These powers give the predators the ability to compete with the technologically superior humans and new enemies such as special operatives, snipers, robotic predators, and mechs. In the cooperative multiplayer mode, players can enter your own custom procedural game world from single player mode and join the player on any missions, working cooperatively to complete them at an adjusted difficulty. In the competitive multiplayer mode, players can all join sandbox maps and fight one another in a battle royale-esque locale with their predators in Alpha Duels or Alpha Wars, alongside the other jungle creatures and human populations as third party threats. 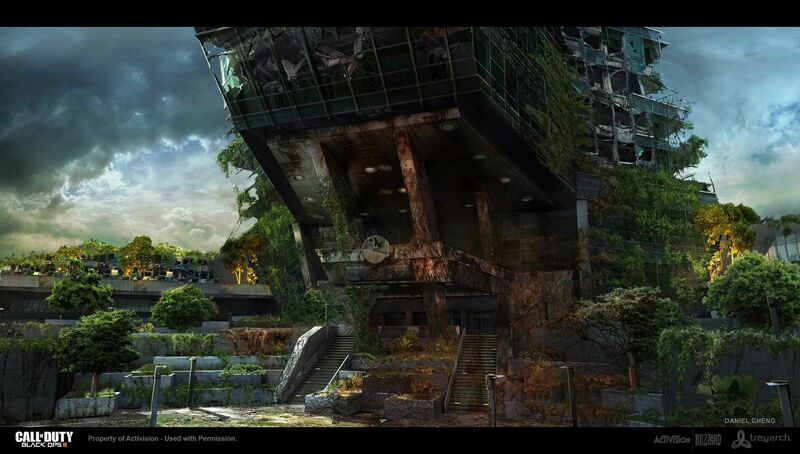 In Human / Survival Horror mode, can choose to play as a human scientist, security, or hunter and brave the wilderness against the alpha predators in a research outpost. Same general rules as campaign mode: dropped into an outpost, procedurally generated surrounding environment. Can go on excursions, hunts into the wilderness, gain levels and knowledge about the predators. You will certainly die. No saves, one life to live.